Keeping a list of Junie B. Jones book titles and numbers handy can be helpful if you know a child who is attempting to devour the series in order. As of mid-2010, 27 Junie B. Jones titles have been published by Random House. 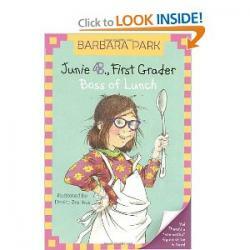 Barbara Park, author of the Junie B. Jones series, has been keeping busy since her first few volumes caught a wave of popularity. Each book follows the effervescent title character, Junie B. Jones, as she experiences a new adventure related to kindergarten- and first-grade life. Hundreds of children across the country and the world identify with Junie B., who is endearing and clever, if far from perfect. Park's books are appealing to parents, who can use them as jumping-off points for their own conversations about school events in their children's lives. For kids who struggle with reading, the books' fun plots and simple language provide some respite from school assignments and grade pressures. Park writes in Junie B. 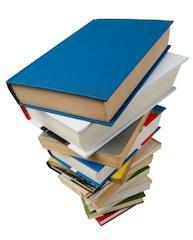 's point of view, which helps readers identify and empathize with the irreverent main character. Each Junie B. Jones book is a stand-alone title, so kids can start reading at any point in the series and pick up the other titles later; there's no prior knowledge required to understand each new book. For that reason, it can be worthwhile to head to the school or public library with kids and check out any titles that are available to give them a try before committing to the rest of the series. Junie B., First Grader: Boo . . . and I Mean It! Junie B., First Grader: Jingle Bells, Batman Smells! Junie B., First Grader: Aloha-ha-ha! In addition to the stand-alone list of Junie B. Jones books that Barbara Park has written, Random House has released several box sets of Junie B. books that clump certain sequential volumes together. Books 1-4, 5-8, 9-12, 13-16, 17-20 are all sold in box sets for prices that reflect discounts on the individual titles included. For kids who have sampled the first few titles and show signs of latching on to the character and series, the box sets are an especially good bargain.